The most nominated female artist in this year's Grammy Awards night who bagged three out of seven awards. Brandi Carlile is indeed an artist to watch, a star to behold. Her music has got that kick-off-your-boots vibe. She is currently on the road right now, going around cities and states and delighting audiences far and wide. Luck is definitely on your side. 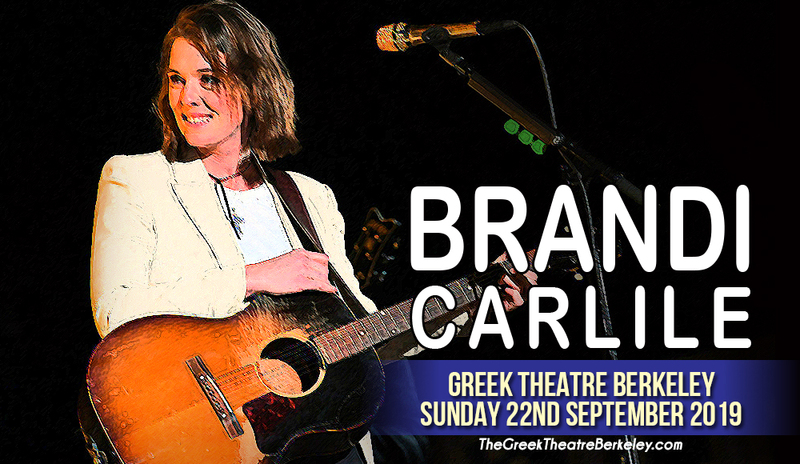 Just by the neck of the woods, Brandi Carlile is swinging by this side of town on Sunday 22nd September 2019, at Greek Theatre Berkeley. Save the date and secure your seat to this wonderful evening. With just a few easy clicks, you'll be well on your way to this concert event. Start with the "buy tickets" button, then everything would be fast, easy, hassle-free, until the night when Brandi Carlile hits center stage! Book your tickets now! “If you start a band with me, I’ll get us signed and on the road within a year”… That's how Brandi Carlile pitched and recruited bandmates– twin brothers and initially reluctant band members Phil and Tim Hanseroth. In no time, Carlile's prophesy has come to pass, even exceeding expectations. They were signed to a major record label and closely worked on their 2005 debut album with producer Rick Rubin, to boot. The album made its way to the Billboard charts and also caught the attention of critics and was even cited as Rolling Stone Magazine's “Top 10 Artists to Watch in 2005”. Also several tracks from her album were featured in soundtracks of top-rating shows like "Grey's Anatomy". Brandi Carlile has had a string of Billboard chart-placers and chart-toppers, but the lure of commercial and mainstream success is something the Carlile avoids or reluctantly accepts. “I would never write commercially or dress commercially or behave in any way that would inspire mainstream success”, Carlile says. Her music has also been classified and categorized in several genres, but Carlile is quick to acknowledge her roots. "I've gone through all sorts of vocal phases, from pop to blues to R&B, but no matter what I do, I just can't get the country and western out of my voice," she enthuses. And she uses that voice to bring tales from the road that inspires and empowers.